This school year marks Sierra Service Project’s 7th year offering Weekends of Service for local youth groups. Over the years we have planned a variety of service projects for youth to be involved in their communities – every weekend is unique! This year our youth teams will primarily work in Rancho Cordova and serve low-income homeowners. We may start and finish a project in a weekend, or our teams may be a part of a long-term project. 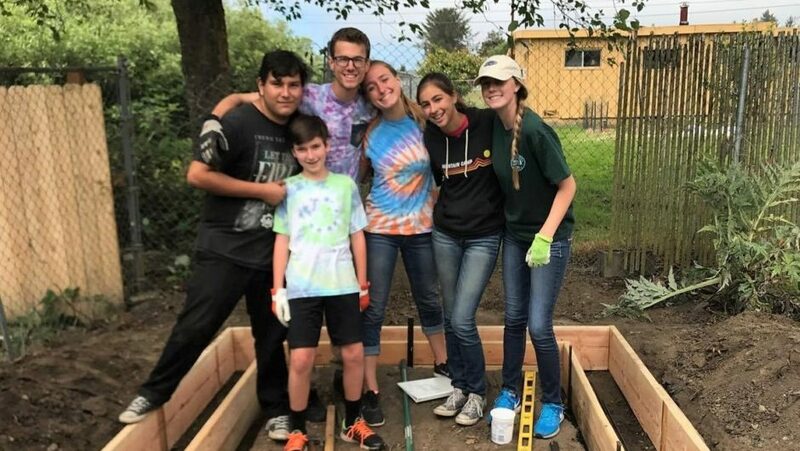 The work may include painting, yard maintenance, chain link fence removal, fence or wheelchair ramp construction.This school year marks Sierra Service Project’s 7th year offering Weekends of Service for local youth groups. Over the years we have planned a variety of service projects for youth to be involved in their communities – every weekend is unique! This year our youth teams will primarily work in South Bay and serve low-income homeowners. We may start and finish a project in a weekend, or our teams may be a part of a long-term project. The work may include painting, yard maintenance, fence building or community projects.This school year marks Sierra Service Project’s 7th year offering Weekends of Service for local youth groups. Over the years we have planned a variety of service projects for youth to be involved in their communities – every weekend is unique!